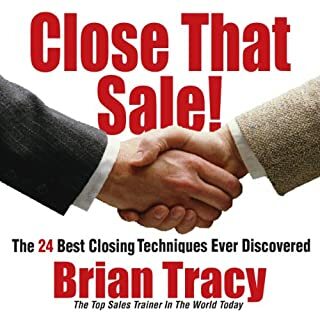 If you want to discover how to close sales using the absolute best practice (one that's non-pushy, flexible, natural & easy to learn) then listen to this book. 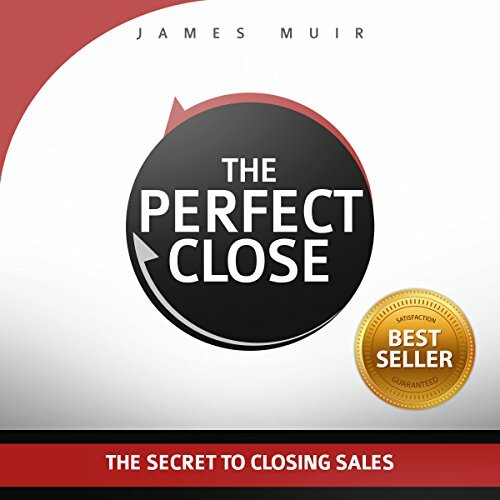 Author James Muir shares unique insights on how 'closing the sale' can be done with a natural, non-pushy sales strategy that breaks the stigma often associated with professional sales. Everything has changed. The latest science shows that old, counter-productive closing tactics backfire and hold you back. In The Perfect Close you will learn a closing method that is nearly always successful. It's zero pressure and involves just two questions. It's a clear and simple approach that is flexible enough to use on every kind of sale at every given stage. It can be learned in less than an hour and mastered in a day. It is especially helpful for new and inexperienced salespeople and professionals who dislike the "stigma" of selling or find the selling process awkward or uncomfortable. The bottom line is you will know everything necessary to close every sale. You don't need 101 closes (one for every occasion), and you don't even need to master selling. All you really need is an easy, facilitative way to advance your sales to closure. It's that simple. 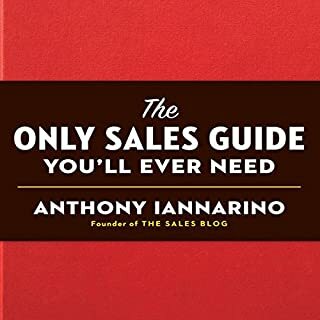 This is a NO BULL book for those that are involved in complex sales. It guides you through the process that you may know already but with the subtle differences on how to approach each step with a mindset and phrases that can make a difference. I liked the "Getting to the point" attitude from James and the summaries made along the way. Well done. A solid set of well presented principles. 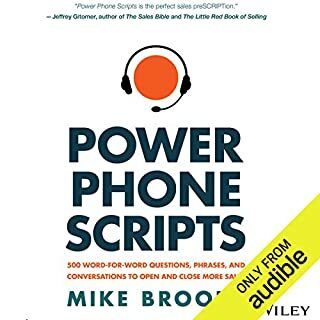 Very impressed that the author is the voice for his audio book. Add to this that he has several additional aids available online. I have learned so much from this book every time that I have read it. First of all, closing starts long before the first interaction. Closing sales is not about verbal voodoo. But, it is about sales people who are focused on their craft, with good intent, and alignment with the outcomes of customers. I have never read a book which help to close business by growing the capacity and the goodness of sales people like this one. It reminds me of watching NBA teams play basketball. All of them are professionals but the greatest scorers rarely win a championship and can almost never repeat that outcome. It does take the ability to score, but the repeatable form of success requires a system to win championships. This book presents the system for turning a determined sales professional into a systematic closer because the needs of the customer are at the center of this system. This book will guide you on how to understand the explicit and implicit needs of customers, but also help you, as the sales professional, to understand what YOU are explicitly and implicitly saying through the process. I love this book, and cannot wait for the author to publish again. It sounds like there may be a book coming about the discovery process with customers. 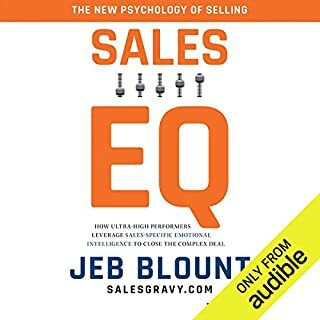 Sincere gratitude to the author for so carefully documenting his personal sales growth but also for researching and sharing the science behind interpersonal relationships and how this knowledge so fittingly relates to the selling process. Great Read and helpful technique! 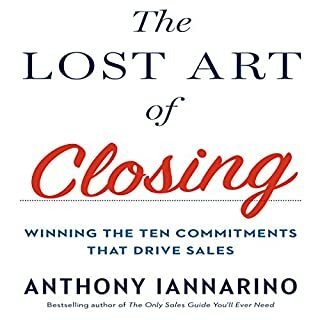 This is a great book that helps teach and easy to learn but super powerful technique when It comes to moving the sales process along and closing more deals. I have already implemented it in my sales process and have already begun to see the results! this technique is simple & a game changer! I'm starting to use this and its is so comfortable to use. I am also in transition to sales from a servicing background. it doesn't require memorizing a bunch of manipulative statements and allows you to just be someone who cares about creating win/win situations for their potential clients. I'm still new in sales and stood to benefit enormously from listening to this book. 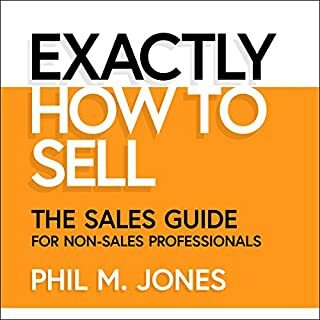 Even though parts of the book are geared towards an executive level/ style of sales, it is nonetheless useful and applicable to non-corporate sales. I plan to listen again and practice some of the techniques. James Muir has written a really well thoughtout book on selling. He has gotten rid of the nonsense and made years of technique development reasonably simple to understand and implement. Helped me with many struggles in my career and gave me hope for great success. I thoroughly enjoyed The Perfect Close. It's a wonderful resource on the discipline of sales. There's no shortcuts, nothing controversial - just good old fashioned, honest to goodness hard work. Roll up your sleeves, because James lays out his entire process. The perfect close is the cherry on the cake, but the vast majority of the book is about how to get to that point and it's shared in detail, step-by-step. While much of what's revealed in the Perfect Close isn't new, what IS compelling is the way James has connected all the dots and put together a highly actionable and predictable framework. What is especially appealing about the audio version is James' narration. He's quite gifted and it's an exciting few hours you'll spend with him. I didn't skip past a thing. The pace is great too - I didn't feel the need to listen at a faster speed. One of the limitations with audio books is you don't have access to the text. And for books that invite you to follow processes and take action - that can be a real disadvantage. Many audio books ignore this point and leave the listener to fend for them selves. Other authors please note: what really separates this from many other audio books is the comprehensive resources. There's a full suite of practical downloads that will guide and support you (the Meeting Planner is worth the price of the book alone). Finally, what of the perfect close itself. It's simple. Really simple. And really powerful. I've used it many times since and it's very effective. I highly recommend The Perfect Close and promise you won't be disappointed. takes a while to get to the main points. but on reflection the lead in chapters do help. very effective close. I have put into practice already. I expect it to give me a huuuge return on investment. if your in sales or consultative selling. it's worth the money. For anyone who has no idea about selling this book is for you. It put me at ease knowing I just have to be myself. I highly recommend this book.